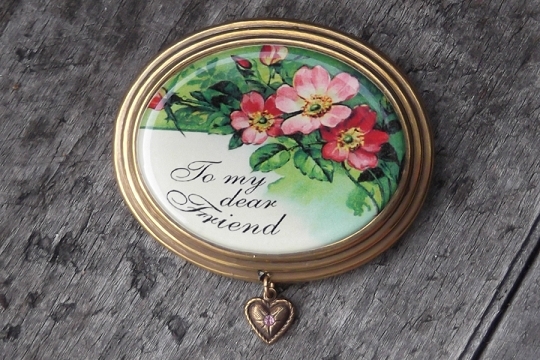 The vintage image in this pin was reproduced from a private collection of antique postcards which were found in shops and markets and some people's attics. The reproduction cameo casting is antiqued brass. The pin measures 2 inches wide by 1-3/4 inch high. The tiny heart charm makes the entire length 2-1/4 inches. 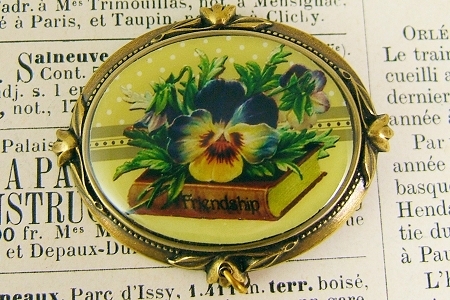 It will arrive in a gift box ready for you to wrap for your friend.